So, ﻿London Beer City starts this week. When I first read about it, I was a bit narked, mainly because there was no mention at all of the real reason why so many beer fans come to London in early August: CAMRA's Great British Beer Festival, which opens tomorrow at Olympia. Instead, it was promoting the new London Craft Beer Festival, which seemed determined to compete head-on with the GBBF. In the weeks since, I have mellowed a lot, and am now very much looking forward to attending as many LBC events as I can, from GBBF and LCBF onwards. To be honest, while LCoB did cover more than just real ale, and while there were associated events and tastings, and the tourist agencies were on-board, it was not as broadly-based as it should have been. Part of this came from its focus specifically on visitors to London. And while it wasn't the doing of CAMRA's Puritan regiments – LCoB was mostly the work of CAMRA's urban liberals such as myself – there is inevitably a real ale focus to everything CAMRA does. Even the vital pub preservation work it does is driven by the fact that the pub is the main outlet for real ale. 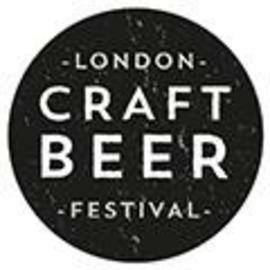 It has also helped a lot that London Beer City now recognises and mentions GBBF (“the world's greatest cask ale event”), and has developed a distinctive identity of its own, as a celebration of London beer and of London's brewing renaissance, and pulling in support from the London Brewers Alliance. So I'm looking forward to it – and I'm especially looking forward to the London Craft Beer Festival, as well as to GBBF. There is definitely room for both in a city this big and diverse! LCBF is a lot smaller for a start – just 24 breweries from the UK, the rest of Europe and the US – but the beers should be rather different from the GBBF range.